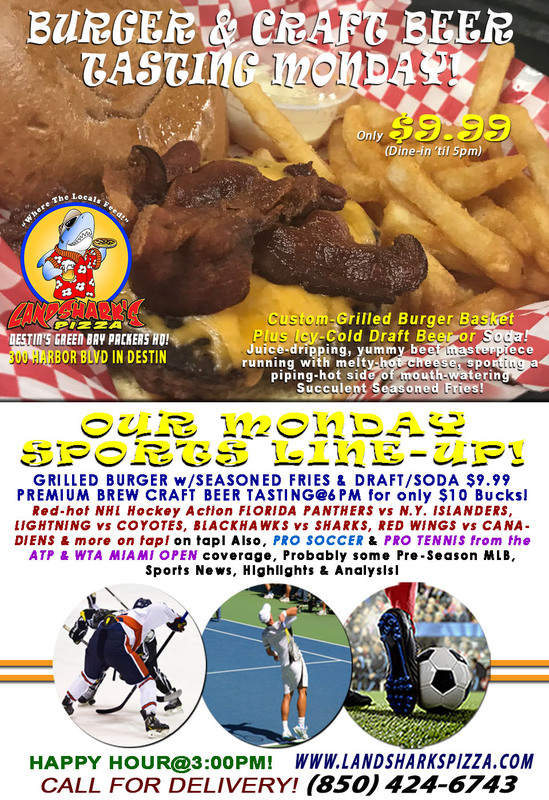 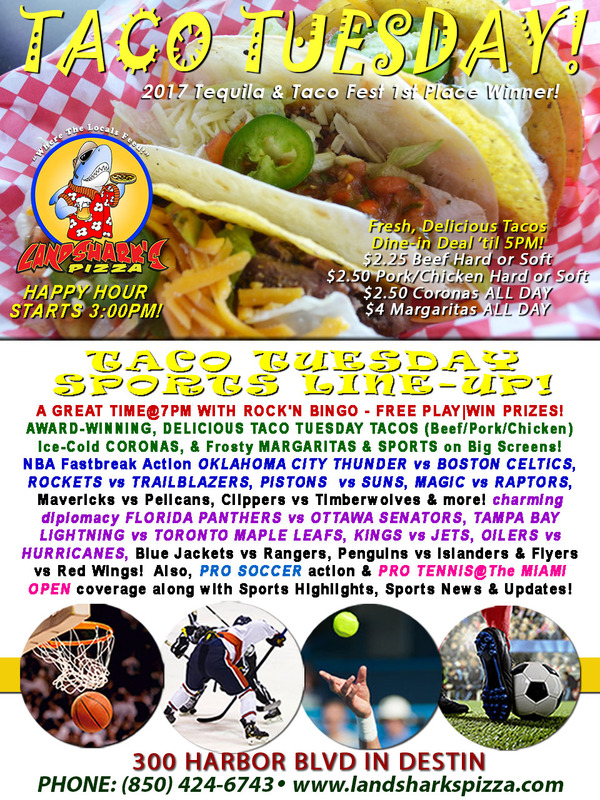 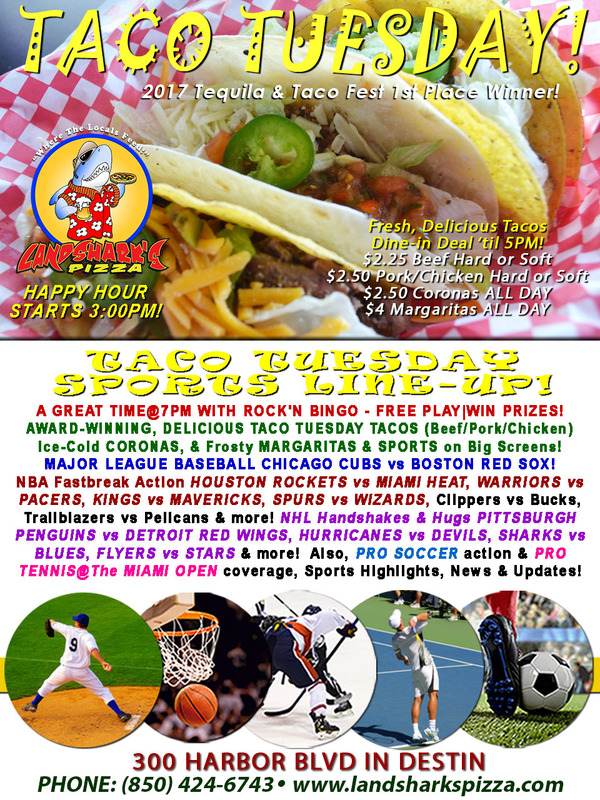 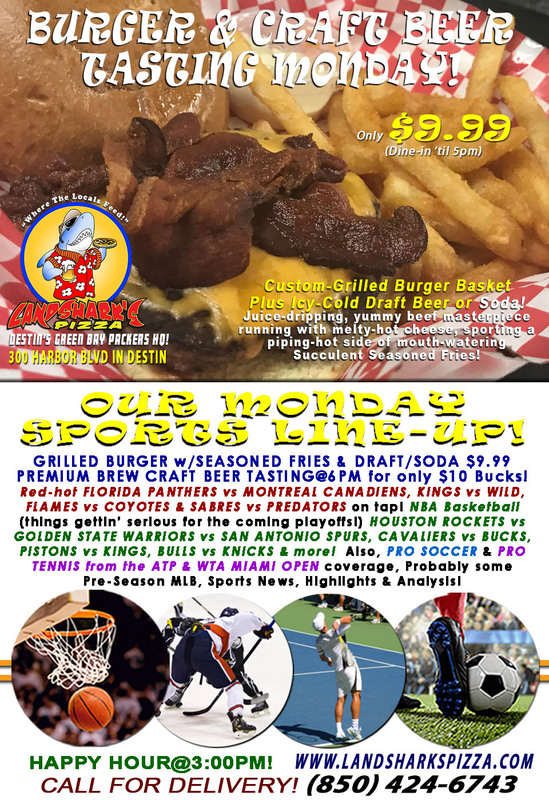 Landshark’s Taco Tuesday MLB CUBS vs RED SOX|WARRIORS vs PACERS, CAVALIERS vs HEAT & ROCK’N BINGO at 7:00PM! 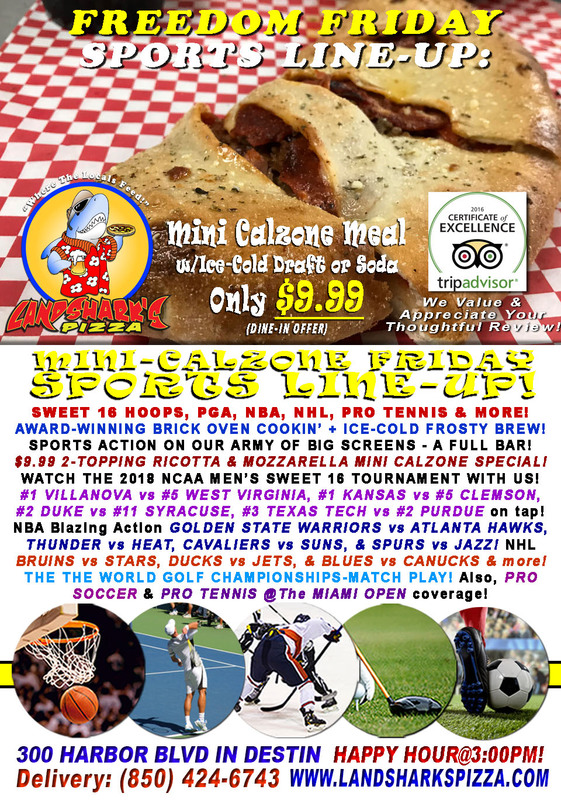 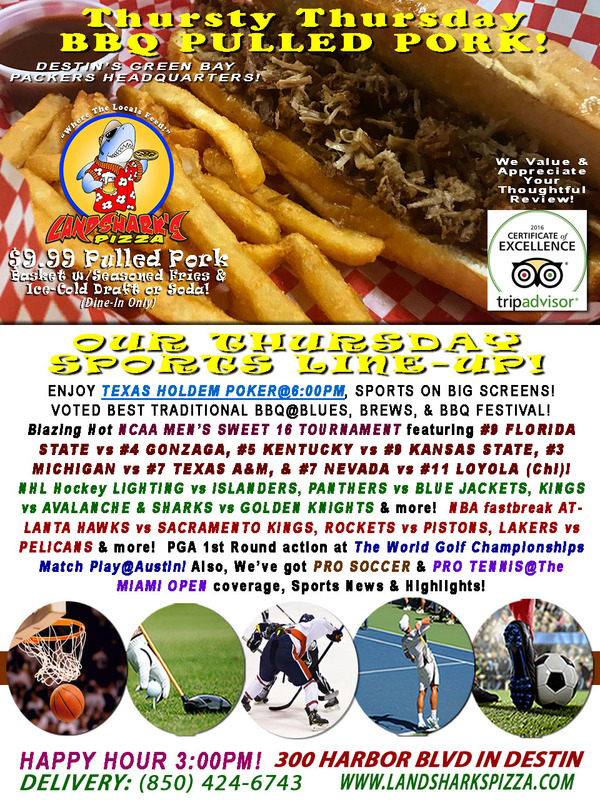 Dyn-o-mite NCAA SWEET 16 #1 VILLANOVA vs W. VIRGINIA & MORE|2-Topping Calzone & Brew $9.99 NBA|PGA|NHL & More! 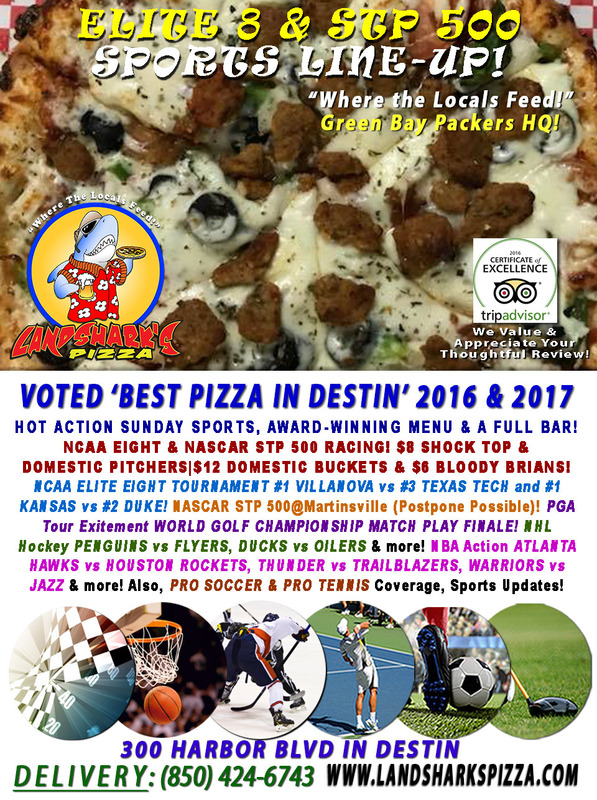 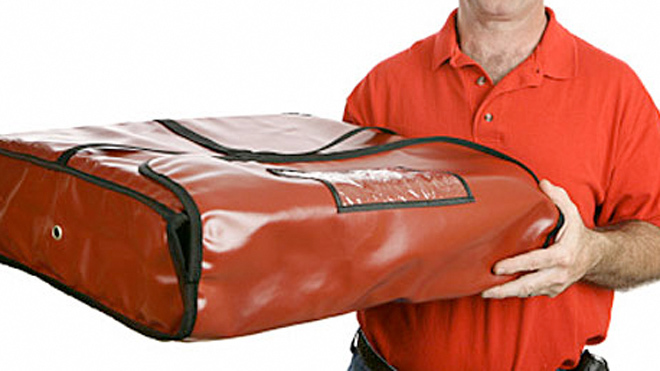 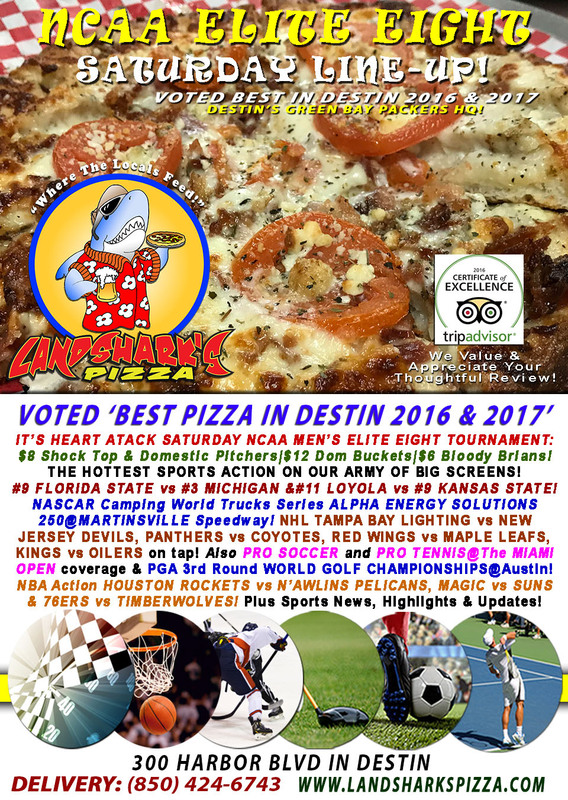 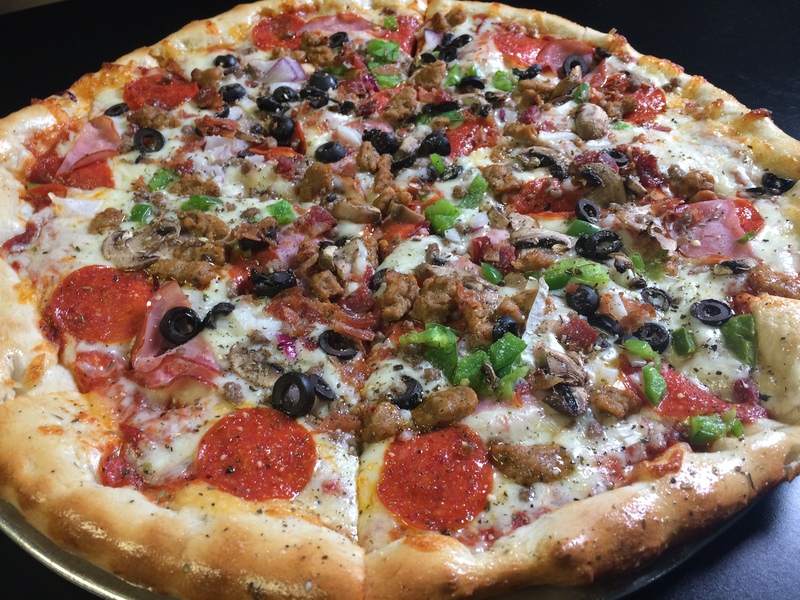 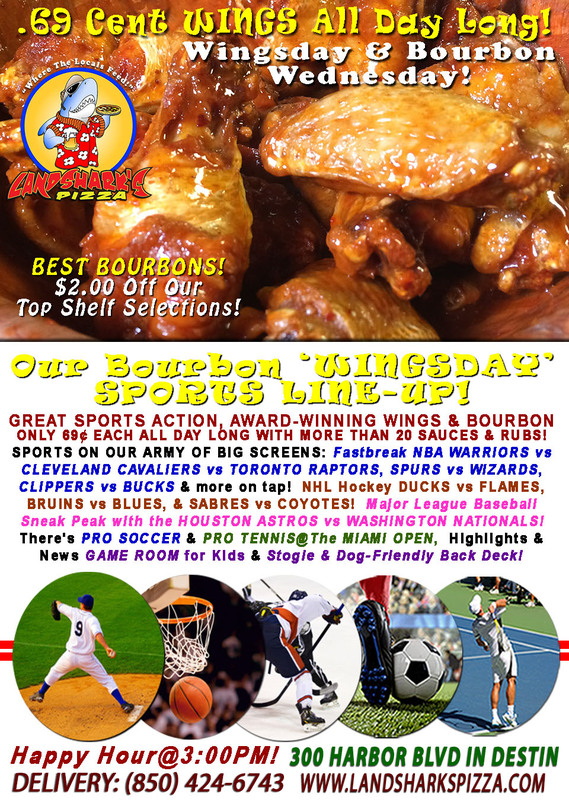 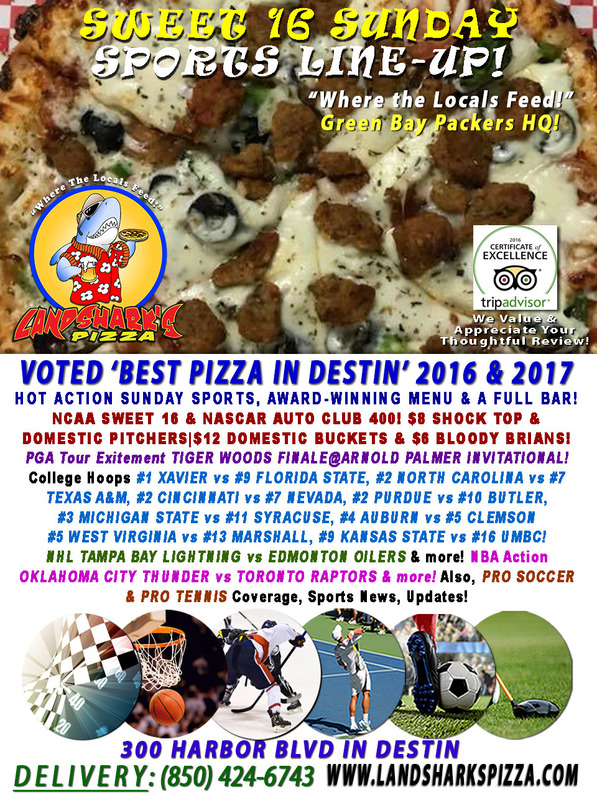 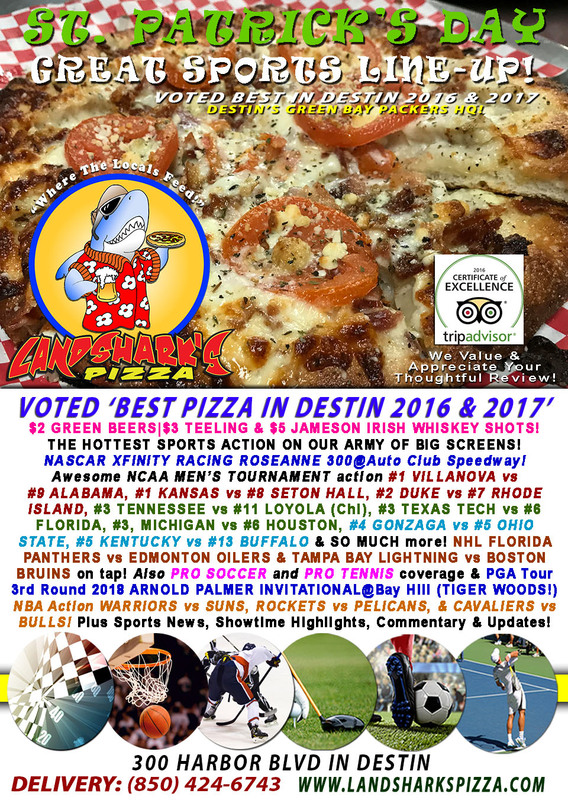 Delivery in Destin Florida – Pizza, Subs, Wings, Calzones, Appetizers and More!